Drs. 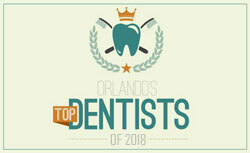 Schmitt, Midkiff & Bilancione and their team in Maitland, FL, make every effort to provide not only excellent, but also affordable dental care. Money shouldn’t keep you from having the perfect smile you deserve. We work with your dental insurance to maximize your dental benefits. At Schmitt, Midkiff & Bilancione General Dentistry, we do all we can to explain your treatment and work out a payment plan that enables you to proceed with the necessary treatment. We accept cash, checks, and all major credit cards. You may be able to use your own dental insurance if you have a policy that allows you to choose your own dentist. If this is the case, we are happy to file your insurance claims and collect your estimated patient portion at the time of your appointment. Dr. Schmitt, Dr. Midkiff, Dr. Bilancione and the team at Schmitt, Midkiff & Bilancione General Dentistry in Maitland, FL are proud to offer excellent dental care at an affordable price. If you have any questions or concerns about insurance and financing options, please contact our office.